India put in a remarkable performance in Badminton at the Commonwealth Games 2014.The team exceeded expectations after ace shuttler Saina Nehwal pulled out of the games at the last minute.India finished with a gold and a silver each,and two bronze medals.Though the Mixed Team event was a disappointment, the singles events were where the Indian shuttlers were outstanding. Badminton had the Mixed team events scheduled first,and India were looking on course for a medal after they trounced Kenya,Ghana,Uganda and Canada on the way to the semi-finals.But they were shocked by England in the semis and more disappointment was to follow when they lost to Singapore in the bronze medal play-off. The Individual events was where India’s fortune turned around.P.V.Sindhu,the team’s best bet in singles after Saina’s withdrawal,won her first medal at the Commonwealth Games-a bronze,beating Tee Jing Yi 23-21 21-9.The change in her approach after the first game was surely a positive sign for a young player. R.M.V Gurusai Dutt provided further cheer to the camp,clinching bronze after beating Rajiv Ouseph in a three game thriller in the play-off.He had earlier shocked top-seed Wei Feng Chong in the quarters,proving that he has regained his fitness and has the ability to be a world-beater. The women’s doubles defending champions Ashwini Ponappa and Jwala Gutta had to settle for silver after losing to Woon Khe Wei and Vivian Hoo in the finals 17-21 21-23.Though a touch disappointing for the 2011 World Championship bronze medalists,their performance will be good motivation for them as they prepare for upcoming tournaments.But it was P.Kashyap who turned out to be the star performer for the badminton contingent,bagging a gold after edging out Derek Wong in a nail-biting match 21-14,11-21,21-19.This was India’s first gold in the Men’s singles event in 32 years and Kashyap surely had the mental strength in a match that could have gone either way. It surely was an above par performance from the team and would serve as a confidence booster ahead of the World Championships and the Asian Games.But,more consistent performances would be expected from the experienced pair of Jwala and Ashwini who were surely not at their best,especially in the mixed team event.Also,P.V.Sindhu should learn not to buckle under pressure if she is to evolve into a player of the highest quality. 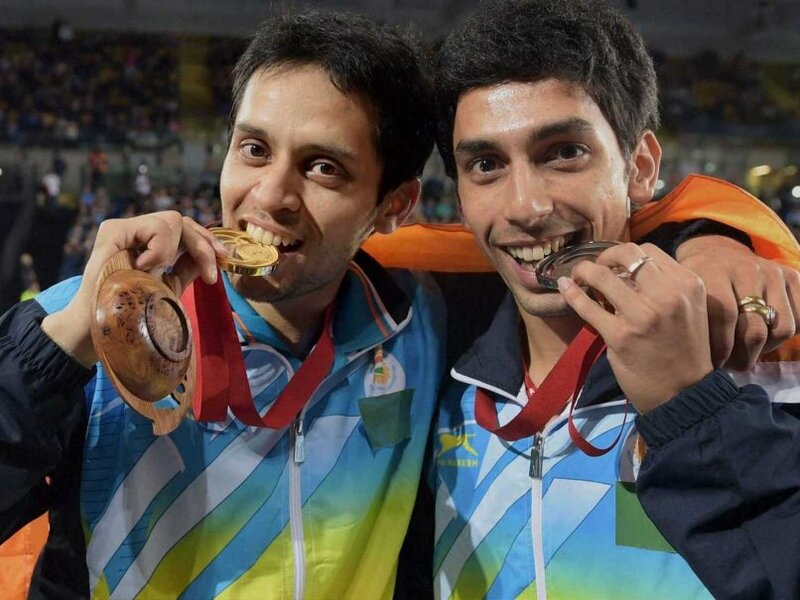 P.Kashyap and Guru SaiDutt were suitably rewarded for their perseverance and their continued efforts and will hope that this is a sign of better things to come.The BAI will now have to recognize its role in coveting these into bigger achievements.The country and the badminton world is waiting. Next articleVirat Kohli: Legend In The Making Or Misconstrued Fabrication?